Summer isn’t quite winding down yet, but for those of us who homeschool, we’re already choosing our curriculum and planning our fall school schedules. 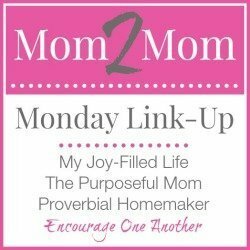 In the course of chatting with my homeschool mom-friends, I am hearing a train of thought that saddens me. 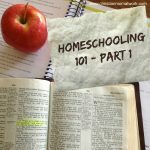 From homeschooling moms who have done this for years, to moms who are just starting out, I hear this same fear: “I’m not sure I’m smart enough to homeschool my kids.” If this thought is an ugly monster that has reared its head in your thoughts (and I confess, I too, am guilty), this is for you! You know their strengths and their weaknesses. When they don’t get a particular concept, YOU are going to be the one who can understand WHY they are having trouble with it. No, you might not realize the WHY right away, but you will think about it, pray about it, review it and figure it out. Then you can find a way to explain it to them in a way they can understand. 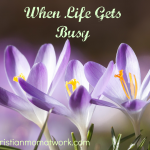 Your spouse, your parents, your siblings, your older children, your friends, your neighbors, your church family, your homeschool support group, etc. are all there for you. For example, I struggled with teaching a square root concept. My husband, on the other hand, understood the concept and taught it to both kids. I still don’t understand it. But that’s okay! I have an Accounting degree, I took Calculus in high school. I wasn’t a math whiz, but I did ok. We’re in Algebra now and I have had to relearn many of the rules and revisit many of the concepts. I last had Algebra over 30 years ago, and (shhh! Don’t tell the students) I rarely use Algebraic concepts in my daily life. I don’t remember most of it! But guess what? That’s what the textbook, the internet and friends-who-are-math-teachers are for! Scientifically speaking, when you combine the various traits of a husband and a wife, the odds are good that you might have a kid with more brain power than you. But they don’t have your maturity or experience. They don’t have your self-control or foresight. I have two teenagers who are pretty good at self-learning. My role is often just to keep them focused and on track. I create their lesson plans. I decide what they really need to understand, and what is just extra fluff (when in doubt, I make them learn it). I answer their questions or FIND the answers to their questions. They each have different strengths and weaknesses than I do. In the end, that’s one of the things that makes homeschooling fun! Speaking of “fluff”, there are things your kids are going to learn that they may never, ever use again. Some of this you will know intuitively, some of it you will have to determine. Since I have one in high school, and one only a year away, I am directing some focus to what they will need for graduation, the SATs and ACTs. We will be looking at what they will need for their college degree plan. 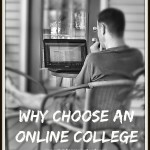 It sounds daunting, but that’s part of the beauty of homeschooling. 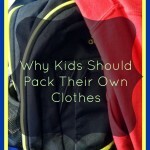 YOU are doing this with your child and you can tailor their school materials for their specific needs. As a side-note, I read a lot about homeschoolers who simultaneously get high school and college credit for courses. How cool is THAT? Yes, it requires some research on your part, but it can and has been done! Whatever made you choose to Homeschool, don’t forget it! 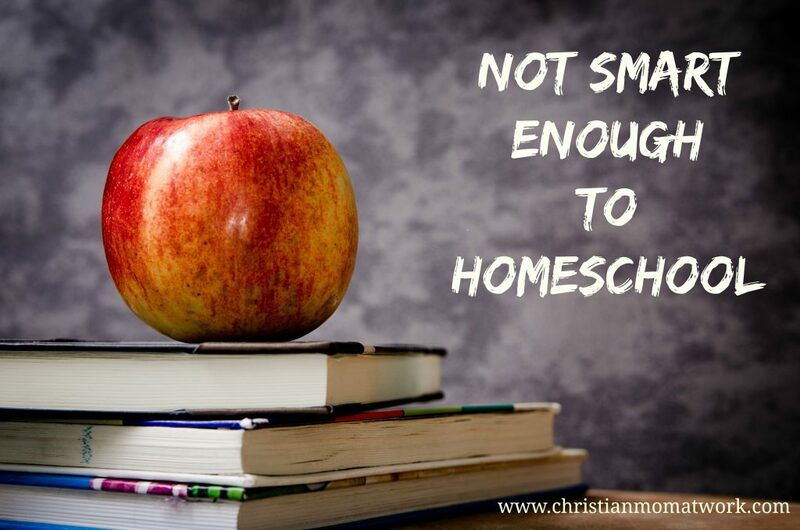 Our families, our church and our friends are supportive of our choice to homeschool. We are very blessed not to get a lot of negative feedback. Most people that we know who do not homeschool are mainly just curious about how it works and why we chose to do it. This is not the case for everyone, so be prepared for some negativity, and maybe even hostility. But don’t let that shake you. Don’t lose sight of your goal. There will be moments when you just think you can’t do it. You will have a rough day or week or even month. If your kid is not onboard with homeschooling, it might be very, very tough some days. You are not alone. 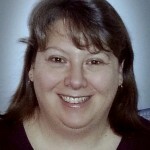 I suspect that even the most put-together homeschooling mom has doubts about her own abilities. I am very confident that we have made the right choice (we started homeschooling after public school in 7th grade for both kids), I look at the future high-school years with some trepidation. But I know, I KNOW that I can do this, and I will not let Satan or any outside human force convince me otherwise. There is so much more that I can say, but my goal here is just to encourage. You CAN do this. The bottom line is, there is much more to homeschooling than just teaching them facts and figures. You will help to instill in them independence, self-discipline, curiosity, fun, seriousness, restraint, forward-thinking, confidence, etc. These are things that will be with them long after the facts and figures have faded from their memories. This is a very important reminder to us as parents. In the past, I only considered this verse in the light of teaching Bible precepts, but I now believe this encompasses all areas of a child’s life. I was curious if there were other verses that pertained to homeschooling. 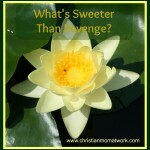 I was pleasantly surprised to find this blog that had some wonderful encouraging verses. I prefer to use KJV, but I wanted to include her link at Upside Down Homeschooling. 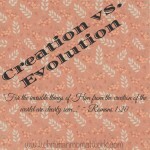 Creation Debate – Who Won? Thank you Michael! I agree with you completely. 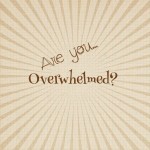 I hear over and over from parents who are concerned that they CAN’T homeschool, but I really do believe that they can!